Mark Everett admitted that Cautionary Tales was an uncomfortable record to make, but what's most unsettling is how familiar it sounds. 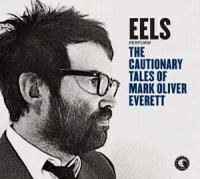 The Cautionary Tales of Mark Oliver Everett starts with an overture, because of course it does. If there’s one fascinating development in the later-year songwriting of the Eels’ frontman, it’s the theatrical approach he’s taken to autobiography. It started with Blinking Lights & Revelations, a double record made with a rolling cast of Everett’s contemporaries, split into suites and separated by street-lit instrumentals. From there, Eels became a project focused on its finely-threaded personal narratives: a trilogy of records followed Blinking Lights, in which Everett cut off different emotions from each other and examined them under a microscope; lust pervaded Hombre Lobo, middle-aged gloom followed in End Times, and the joyful celebration of Tomorrow Morning served as a conclusion. If anything, those records felt like a fitting end to Everett’s songwriting career; a dramatic memoir that resolved its tensions with a tired, contented smile. The two records after it feel, as a result, unsettlingly familiar: last year’s Wonderful, Glorious is an often bright hangover from the “magnificent day” of Tomorrow Morning, while Cautionary Tales is a disturbing retreat into the traumas of End Times. Cautionary Tales isn’t Everett’s most lyrically astute work, nor his most melodically animated – its greatest asset is its guitar, which is little more than a pleasant, pacifying force. But he tends to make his most charming work in this middle-ground, as his decision to exchange bright textures and dark wordplay for overtures and strings brings about a sound that’s earnestly panoramic, backed with a whole lot of personal memoir. These records are hard to open up at first, because they work at the songwriter’s own pace, processing the past as slowly as he does. The delivery on this record is quiet and unflustered, the work of a wise man looking back on his younger self’s stupid life. Everett has been accessing this part of himself for the last four years, and sometimes he’s even been able to laugh off his old mistakes, but this record is more sorrowful, sorting through the things he could have changed and feeling, more than anything, a shittone of remorse. Death has always been the most important motif of Eels’ discography – a legacy that will be left by Electro-Shock Blues, his finest record, and his bleakest memoir – but on Cautionary Tales, it’s lovers. It’s the ease with which they’re forgotten, and the sanctity with which they should be guarded. “Agatha Chang” has a particularly poignant line about where Everett has mistakenly placed his faith: “I couldn’t break up my old gang / but I should have stayed with Agatha Chang”. Like Sun Kil Moon’s Benji, it’s a very literal record in which a songwriter holds himself accountable for his past – it revolves around these very simple hypothetical situations, about lacking commitment and losing the love that comes with it. On “A Series of Misunderstandings”, the record’s centrepiece, Everett sings about turning back time – to “do just one thing / Set the clock back many years ago” – and it feels like an overview of Cautionary Tales, to point out these mistakes so that at least they won’t happen again. Despite his infatuation with the past, though, Everett is also looking forward – if you take the title literally, too, these are cautionary tales to the self, a way for him to realise a better future: “the choice is mine for making a better road ahead”. Everett called time on Cautionary Tales early the first time he tried to record it, feeling awkward about its transparent personal themes. Really, though, he’s done all this before: it’s a spiritual successor to End Times, a record he wrote about middle age and the sad (but not at all dramatic) process of divorce. It’s dressed up with similar guitar tones – sometimes sparkling with the artificial light of late evening, lonely motel bedroom stays, other times feeling homier – and its piano-led tracks can switch from being beautiful to pantomimic in a second (as “Gentlemen’s Choice” does when its strings are introduced). The record has a similar law of diminishing returns hanging over it, too: at times it forgets its gentle premise and becomes something comically ominous, as with the sparse “Dead Reckoning”, a song moulded out of horns, flutes and brief rumbles of percussion that sound like rain. The song deals with the impossibility of change, and Everett embraces this theme of failure throughout Cautionary Tales – on “Gentlemen’s Choice” he admits, quite frighteningly, that “The life that I’ve lived / I’m better off dead / the world has no room for my kind” – but here it sounds like it belongs on a different record completely, living out of Everett’s memories and his world. Everett hasn’t made a classic record in a while, though, so this lack of filter isn’t surprising, or that much of a bother – “Where I’m From”, a swift acoustic gem, is little more than a rewrite of a song he’s written a few times (and wrote best with “The Mansion of Los Feliz”), but it still sounds good here, because it’s a device that’s been mastered. That, and it continues to help Everett with his emotional release; Cautionary Tales certainly doesn’t feel new – it ultimately feels like a retread of the orchestral and maudlin sound he tried on two records ago – but it feels true to its songwriter. It’s a record Everett needed to put away, but also one he needed to return to. That makes it fractured, but worthwhile too.